Other than jaw-dropping beach views, wonderful bars and lounges, and lovely cafes, Bali is also recognized for its seafood restaurants. 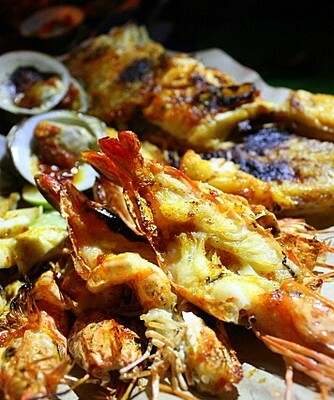 Jimbaran has undoubtedly become the island’s center of fresh seafood. Pampering your stomach with Jimbaran’s delightful seafood dinner is one of the things that MUST be present in your Bali itinerary, but sometimes, we have to admit that we are overwhelmed with options, right? 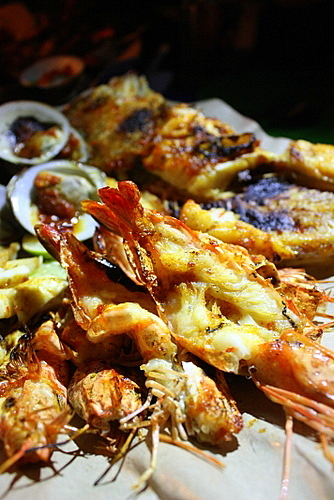 Well, here it is, 5 seafood restaurants in Jimbaran you must try! It totally makes sense why this restaurant is always crowded. They have a complete selection of seafood menu and they all taste delicate and fresh, and not to mention that they are set at very reasonable prices! The prawns and lobsters are fat and so JUICY. The venue is also nicely decorated with bamboo structures and lanterns, making the atmosphere so relaxed yet romantic. I fell in love at the first bite with their fried squid and tasty pan fried kangkung! Legendary! The place is so neatly organized–making it so inviting! You also get to watch a traditional dance performance by Balinese ladies while having your seafood cravings satisfied at this place. The seafood tastes fresh and delicious, and they are grilled to perfection. Also, the right spot to have a marvelous sunset view. This restaurant is one of the most crowded ones. Reasonable prices and of course, AMAZING FISH! My brother’s a person who doesn’t really like fish dishes, but he admitted that the grilled fish was beyond delicious! They have a bunch of Balinese lady singers that come over to each of the tables singing nice local songs. Mouthwatering food and excellent ambience! 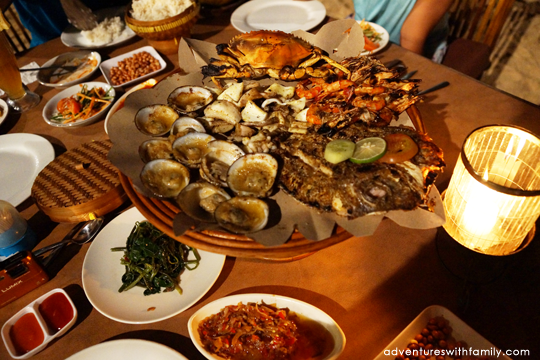 Indonesia’s very own Bintang beer goes along really well with their fresh grilled seafood! Delicious to bits and pieces. The food doesn’t smell fishy and they’re just grilled and fried to perfection. Worth every penny. The 3-in-1 dining spot: melt-in-your-mouth seafood, nice atmosphere, and reasonable prices. The quality of the seafood is top notch. There’s also a group of men with black suits bringing live music to your table! What an experience! The post 5 Seafood Restaurants In Jimbaran You Must Try appeared first on Qraved Journal.